We are in day 2 of 3 of assessment gathering. 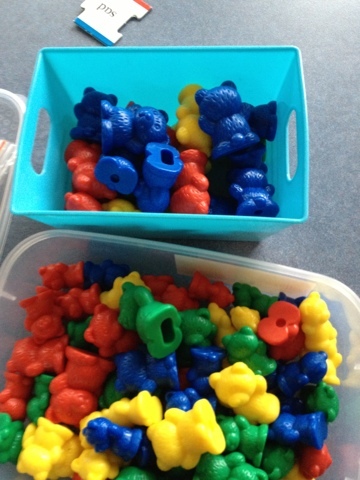 I have had one on one time with 15 of my students so far and we have counted teddies, ordered numbers, matched collections, looked at what comes before and after, location words, estimation, counting up and back, subitising and measuring in Mathematics. 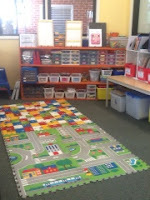 We have done a read and retell, sound and letter identification, rhyming words, beginning and ending sounds, one to one matching, patterns, reading, writing, oral language and all in one hour. I do have to admit I am a bit over 'Clever Max'. 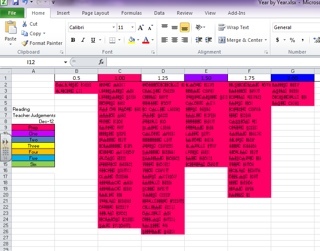 The next task is to process the data and to plan for teaching and learning. I am part of the coaching group that will support staff to do this early next week. I teach Prep and I am also the Leading Teacher for Curriculum as well as one of the school coaches. 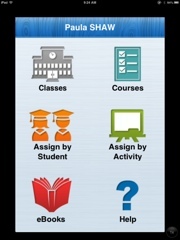 We have 547 students, 24 classes, in our school and I track all our students. We have had an incredible journey in a very short 18 months. This is a great place to work. Not only do I work in a room with a view, but I work in a school that has a view that we need to start the year with accurate information to inform teaching and learning. Today, tomorrow and Friday our school is engaged in using assessment tools to gauge where every child is at for Literacy and Numeracy. This wonderful opportunity will lead us into a differentiated program from Monday next week. In Victoria we are fortunate to have access to online assessment tools/interviews for Mathematics, English and also a tool called the Fractions and Decimals Online Interview. Our teachers are taking running records, recording sound and letter ID's, vocab test and some other items from the Observation Survey (Marie Clay). As we assess we also have an opportunity to talk to parents and start to forge relationships and connections between home and school. What are some of the unusual things you have done in your teaching life? Do you ever wonder what our actual job description is? Across our planet we are experiencing the most unusual weather. 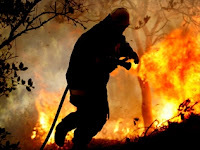 Here in Victoria, Australia, we are experiencing fires. 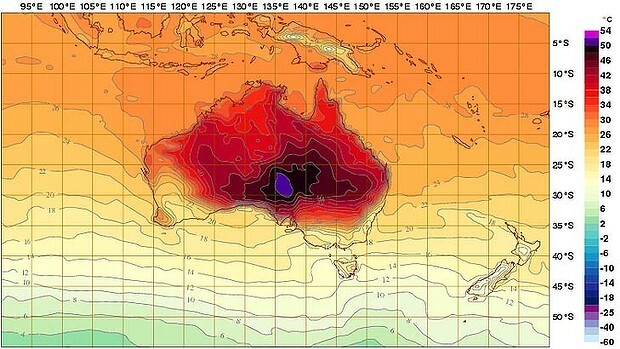 The heat in Australia has been so unusual that the Weather Bureau has had to add more colours on our forecasting maps. We now have purple! 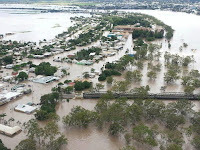 Queensland and Northern NSW are having floods. My Mum and Dad, who live in Northern NSW have taken photos of their backyard and they are lucky as they have a built up yard - their neighbours either side not so lucky. 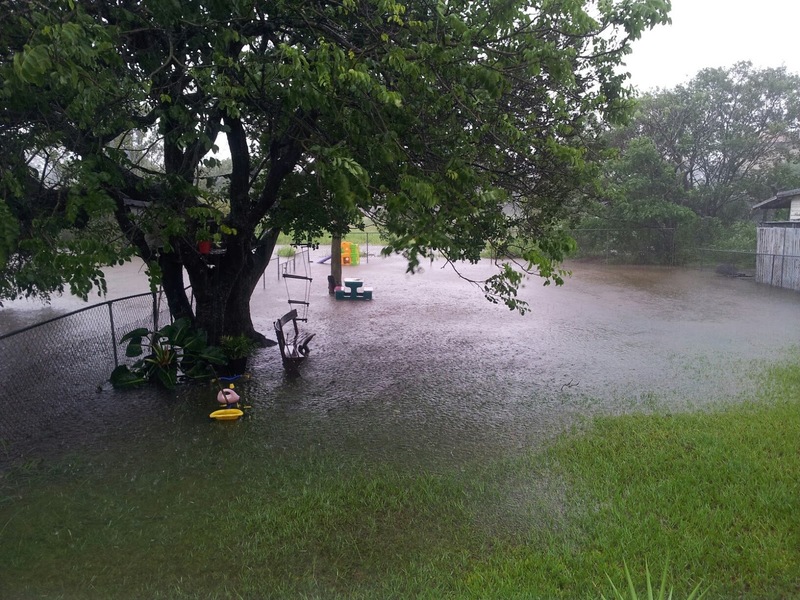 One of my sisters lives in Brisbane and there are photos of her backyard with my nieces' toys floating in their backyard. 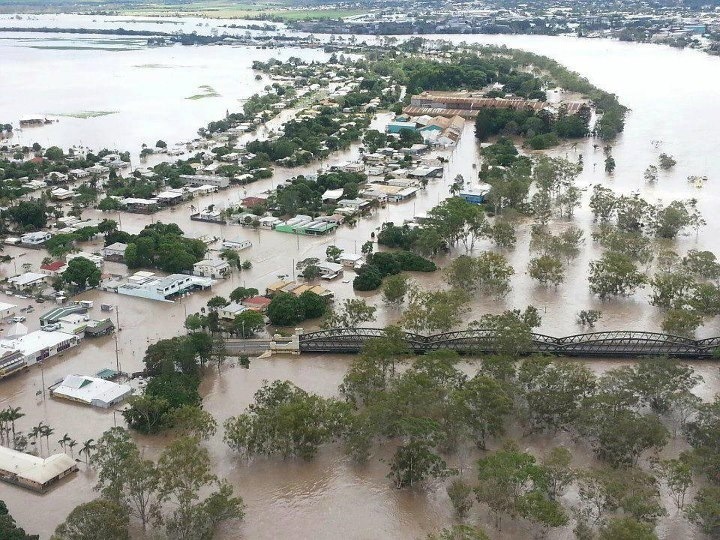 Bundaburg, QLD is experiencing massive flooding (photo from social media). 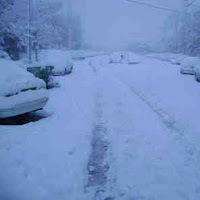 Some schools are shut tomorrow on our first day back due to severe flooding, while in USA some schools have a SNOW day. How crazy is our weather? Please take care of yourselves wherever you are. 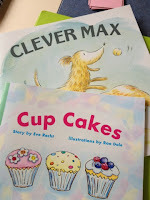 I had a few things to edit and just tidy up on this unit of work. So here is my Weather Unit all done and ready to start in maybe four or five weeks time. 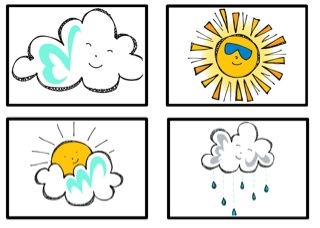 Our Preps (Foundation) need to acknowledge that when the weather changes we need to change our clothes and our activities. They also need to record how we may have to look after our pets depending on the weather. 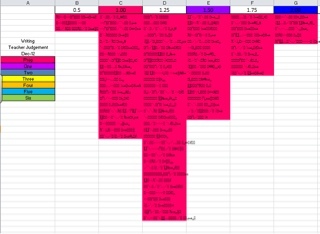 I have put some graphing information and analysing data ideas to use on a calendar. 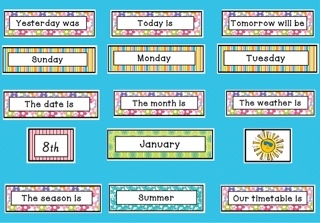 There is a word wall you can add to as your unit progresses. 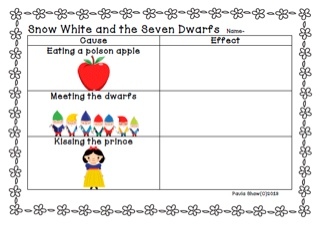 I have worked this unit using power-point and have to say how much easier it was than using word. 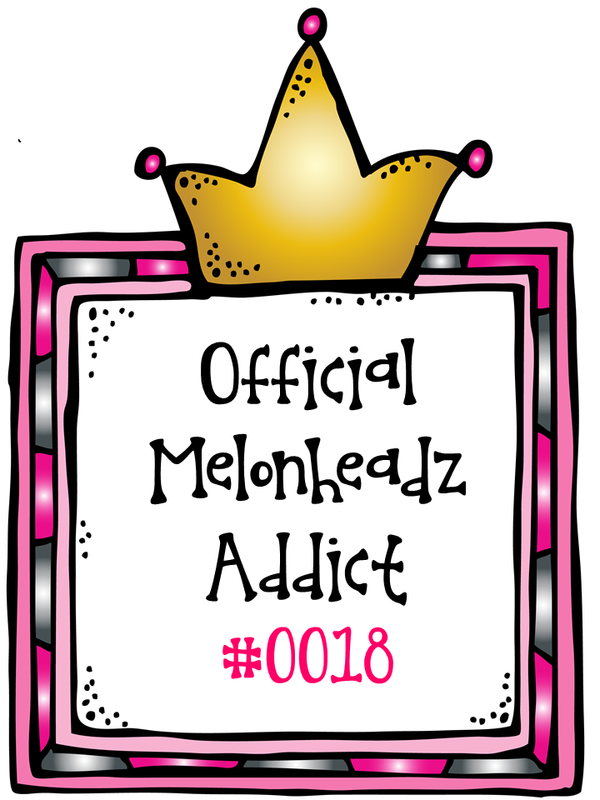 I was able to be much more accurate with text boxes, borders, background papers and fonts. I wouldn't go back to using word again to help publish my units of work. The task even took less time as my templates were not moving all over the place. The only down side I encountered was I couldn't move between landscape and portrait - it was one or the other. Maybe there is a way around this! 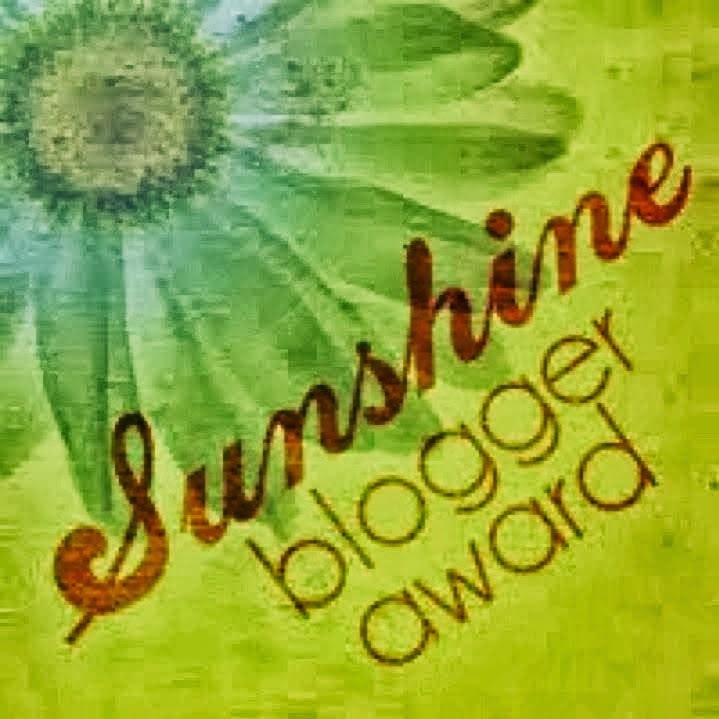 I thought I would share this amazing site - check it out. Make sure you add your email for notifications of free apps. I downloaded the interactive books for Jack, Little Red Hen, Town/Country Mouse and Red Riding Hood and Why the Sea is Salty. 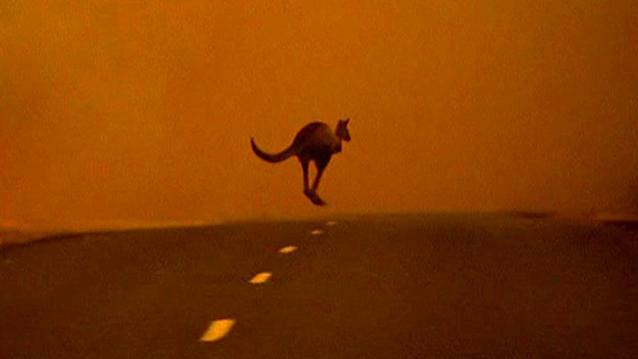 Today is Australia Day here in the land of Oz - 26th of January. For some it is a stark reminder of how white Australia began, for some it is about celebrating our current multi cultural way of life, for some it is about saying sorry about past events in our history, for some it is about our culture evolving. Whatever we feel about this, the day is about BBQ's, family and fireworks at local parks and celebrating the Australian of the Year - Ita Buttrose. Ita is a strong woman and has had a massive presence in the media, (television, magazines newspapers, books) since the 70's. She has been instrumental in forging paths for woman and promoting a sense of fair justice for all Australians. Ita works to raise the profile of AIDES, World Vision, Juvenile Diabetes Woman of Vision, University of Third Age, National Menopause Foundation, Sydney's Woman's Festival, Safety House and Alzheimers. 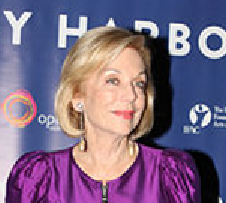 What an amazing lady! 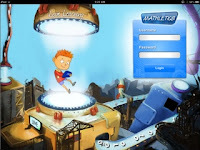 Mathletics has now joined the app world. You still need a log in and pay a subscription fee, but you can use this now on iPads and iPods etc. Not all parts of the program are accessible, some tasks are not flash free, but the majority are and my guess is they will keep improving it. 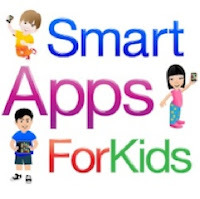 There is a teacher app and a student app - I know that our students are going to love this extra way they can interact with this online tool. Today I was very lucky! I had coffee with a colleague and we talked about Daily 5 and Cafe Literacy. It is often hard to comprehend how far we have come until we share with someone who is not involved in our journey. Our students independence and articulation around reading strategies, our teacher capacity to work hard and get great results, our willingness to share and reflect and above all else our ability to hand over to our students the need to take risks, choose best fit and work with stamina has been a gorgeous learning curve. - tidy my part of the office that I share with our team - sense of satisfaction when that was done. - put my new tub labels on the lockers. These are my editable labels that are on TpT, Notebook and Marketplace. Done and very pleased with how they look. 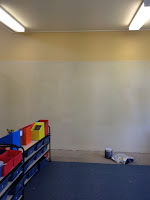 Next big job is to do our new art and craft space. We have pooled all our resources into one space. This will also be a great space to have about 8 students working on art and craft projects. Yesterday our Prep Team made a massive start on re-organising our space. We have made some big decisions together already. These include - no teacher desks in the space and not enough desks for each student. Due to how we manage Daily 5, not all students need a table at the same time. 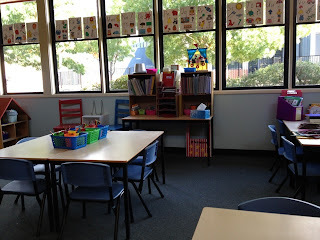 We have so much floor space and our two must haves were a space in each end for a double grade to sit as well as an additional space for a single grade to sit. 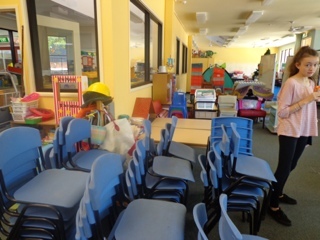 We have a designated art/craft space, two reading tents and two home corners. We cannot wait until our students start and we start displaying work in our space. This is when it will look like a learning classroom. I set myself a task today and that was to reorganise the maths corner so that our children can access hands on maths resources as they need them. 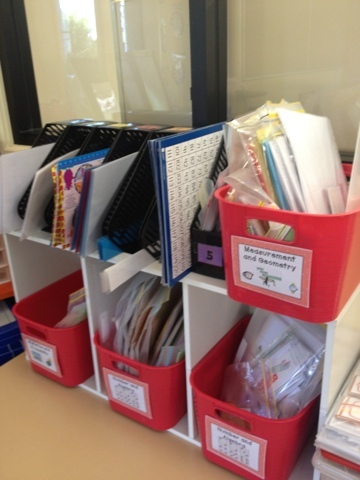 The small whiteboards at the top are for displaying our Learning Intentions and Success Criteria. 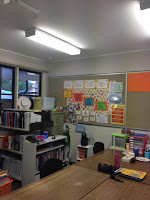 I have been asked a question about how I have used and found the Digital Pensieve in my room. As we have been on our summer break and our school year ended, in December I needed to archive my students from 2012. This was an easy process to carry out. When meeting with the teachers who would have my students in 2013 the notes that were in my Pensieve made this process very easy. I was able to give very succinct information and the next goal for each student. During our reading and writing time my students loved the digital version as they could see their name, read what was on the tab and ask questions and play a massive role in the next step in their learning. They loved being able to see old notes and were very keen to help make appointment times. I accessed the tool on my iPad and this worked well, as I still need to carry word lists, phonics info and guided reading texts. So I stopped using my laptop as there was too much to move from child to child. The only negative for me, and this is not an issue for the digital tool, is that when the Internet is not working and/or I did not have access - like waiting to pick up my daughter from ballet and filling in time - you cannot access the files to add to or plan from. It would be great as an app, but then sharing students wouldn't work. I am looking forward to accessing this for my new grade this year and seeing how we will manage the cost for our team. 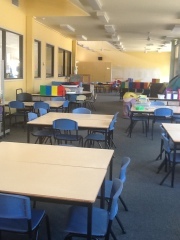 We will be having four grades in a large space and will be working with all students across all curriculum areas. 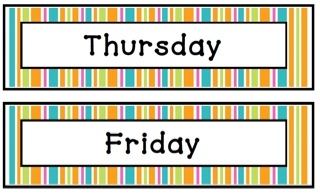 We still have a week left of our summer break to go. Teachers are busy preparing for next week and our new Prep Team (Foundation or 5/6 year olds) met yesterday and organised our new shared space. I will post photos later today- as I left my camera at work. 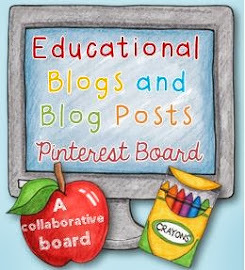 Today a few of us will meet to plan our first day back for teachers. This day is about sharing our direction for the year as we reflect on what happened last year and how our school data is travelling. I will post our plan later as well. 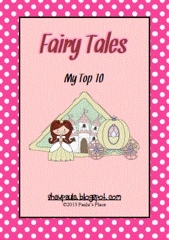 We normally start the year off by doing some Fairy Tales and looking at characters, setting and plot. While this pack contains many writing tasks, for Preps at the start of the year most of these tasks will be modelled or shared. Prep is the new Foundation in the Australian Curriculum and is our first year at school in Australia after three and four old kinder. 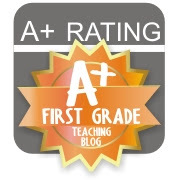 I am not suggesting that you do all these tasks, but choose what best suits your grade and their teaching and learning needs. 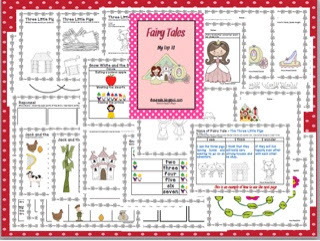 In this pack (82 pages) are tasks for gathering what your students know, word walls, character/plot/setting, comparing, brainstorming, making a wand, I see/I think/I wonder, what characters do, rainbow words, change the ending, invitations, story charts, recounts and conflict/resolutions. 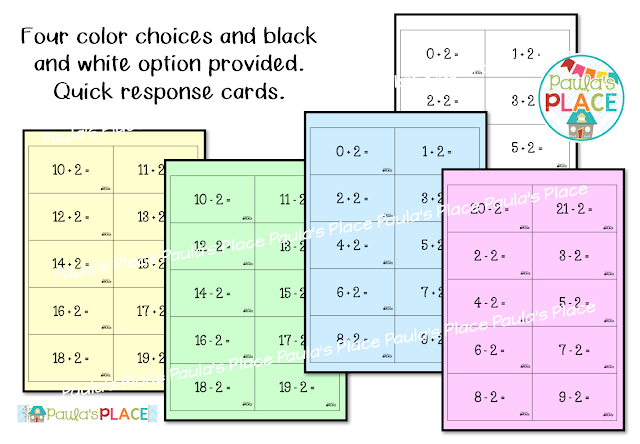 Avaliable on Teachers Notebook and Teacher's Marketplace. 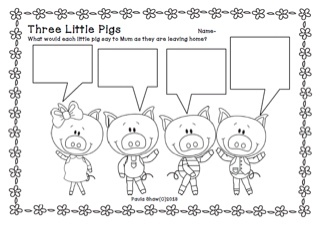 Will be available also on Teachers Pay Teachers later tonight. 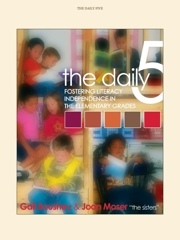 Do you use Daily 5 and Cafe Literacy? 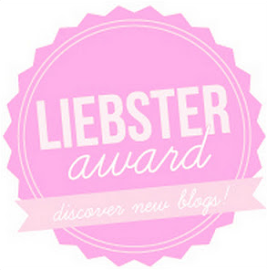 I have been catching up on some professional reading and revisiting one of my favourite websites -the 2 sisters. 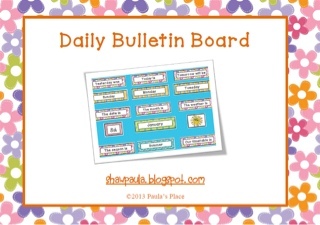 They are now suggesting a slight change to the order of introducing the five components of Daily 5. I love that they have made this suggestion as I have always been a fan of what is called the 'reciprocity' of reading and writing. So 'read to self' is still first and then comes 'work on writing'. The order of the next three is now not in any strict order. As I get my thoughts together for this year and our new group of students I am comforted by this change. Our reading results last year with 88 preps (first year of school) were amazing. We have one child who will spend another year with us at the same year level, another child who is very young but has made some improvement and one other child who is at the level. - but here is the exciting bit. We had the remaining 83 at least 6 months above their expected level with over 71% at least a year above. Within that 26%, 18 months to 2 years above where they needed to be. Together we worked very hard to achieve these results and are passing on an amazing cohort into Year 1. We will be tracking these students with great interest. In wriitng we had similiar results. 74% above their expecetd level and within that 17% are 18 months to 2 years above! 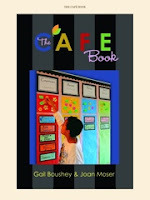 We attribute our success to using the strategies and teaching explicitly from Cafe Literacy. This is where the rigour comes from. If you haven't read either book I suggest strongly you have a read. Also get on their website as they have very helpful menus for each year level. 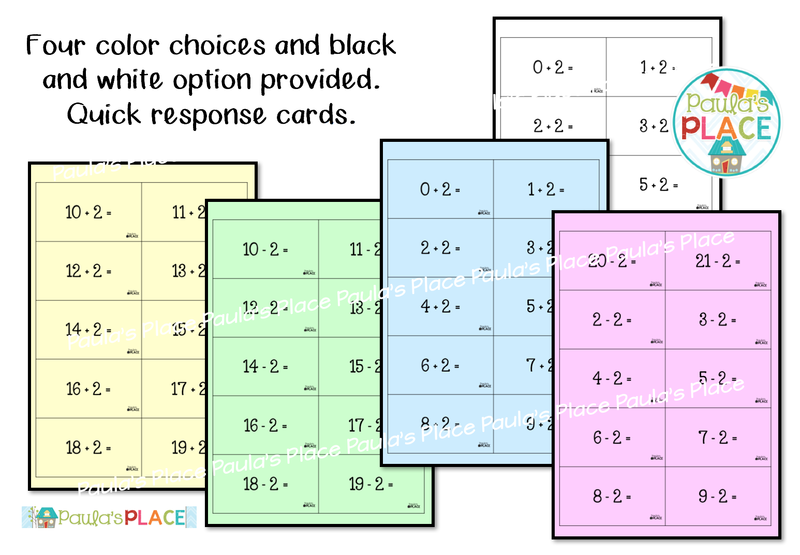 These can be used for differentiation. I needed to meet a colleague briefly at school today in our office to plan for staff profesional learning - more about that in a later post. I briefly went to our new class teaching space to pick something up and with the carpets being cleaned (by a great team of cleaners who are making sure the space is ready for us) - this is what I saw. 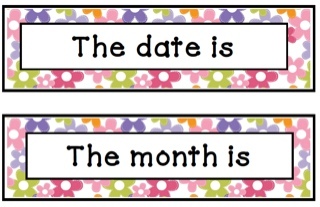 As we are on summer break we have a bit of work to do before our students start on the 29th January. 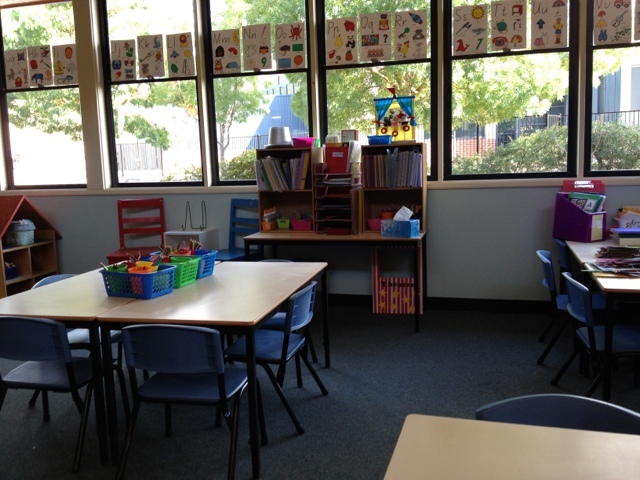 I guess I am motivated by having a colourful classroom. I know that there is some evidence around 'boys in education' that says we need to tone down our classrooms for our boys. 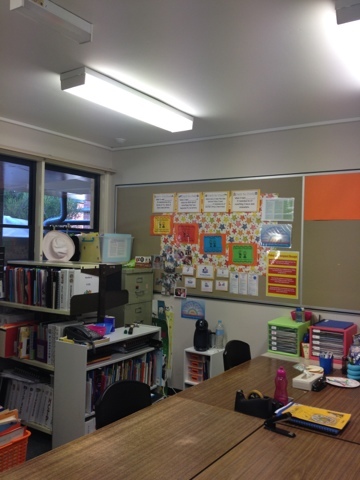 When I continue to get positive feedback from students and their parents about how our learning space looks it does motivate me to continue to add colour and hopefully a vibrancy to our shared learning journey. 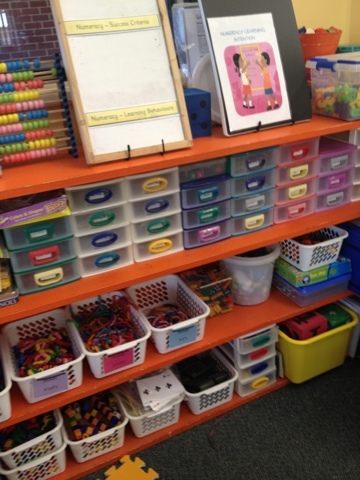 I have such a strong belief around what a positive learning environment should look like. 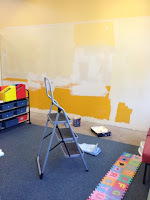 As our new shared space grows after our summer break I will share photos of our evolving space with you. There is a label for autumn and one for fall for my Aussie and USA followers. 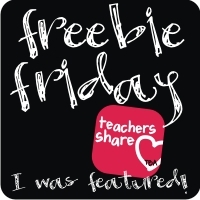 You can access this freebie through my digital shops - to the right; 'Teachers Notebook' and 'Teachers Pay Teachers'. 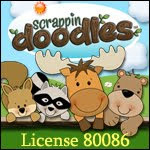 Let me know what you think about the cute graphics from 'Scrappin Doodles' for the weather icons. 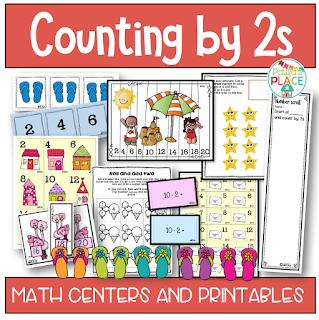 Skip Counting by 2s is a necessary skill in basic number sense. 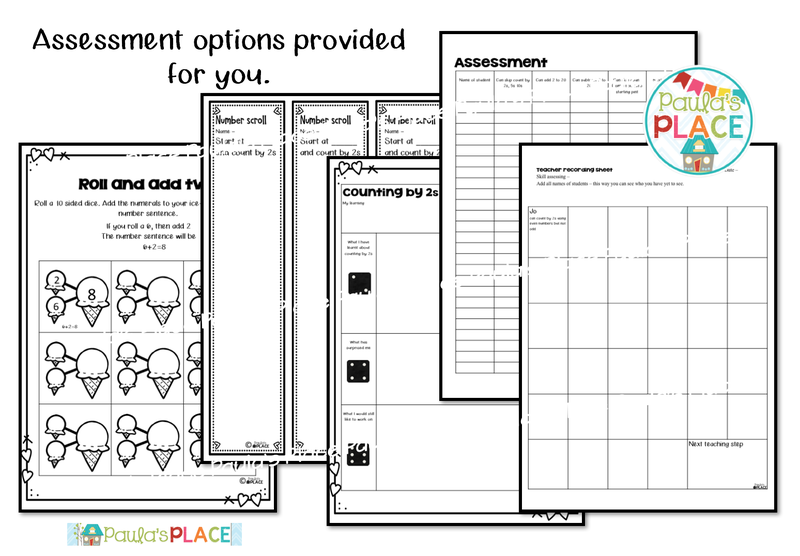 Use these centers and printables to consolidate these skills. • Flip Flops or as we Aussies call them thongs. 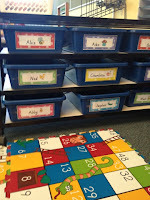 Students place cards in a sequence and then place the correct number underneath. 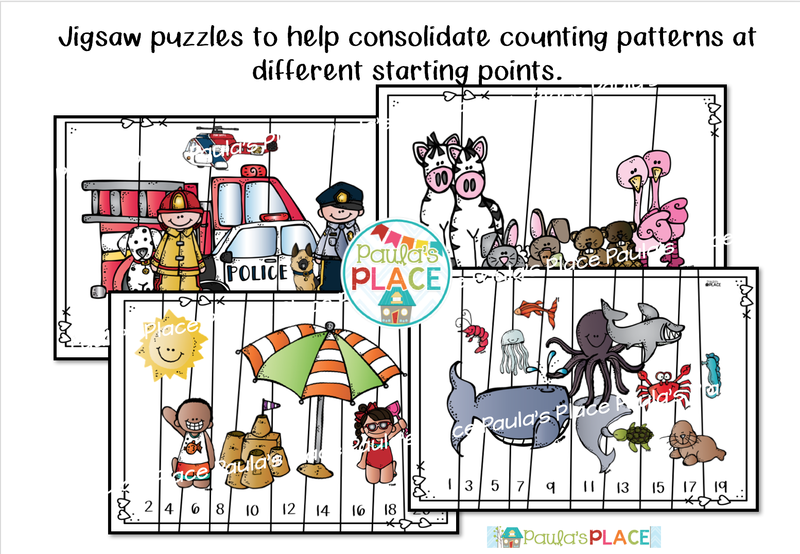 There are sets of houses for counting patterns too. 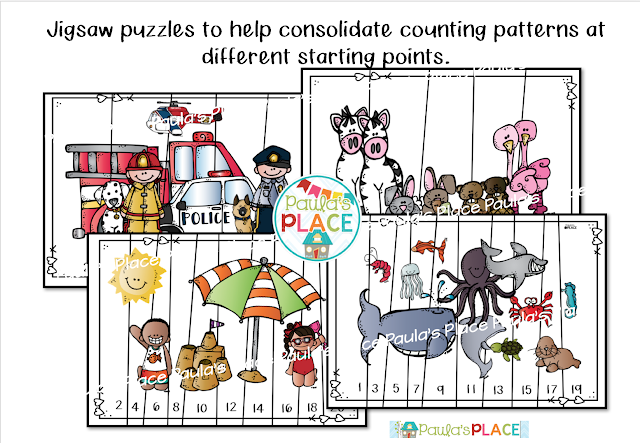 • Fix the puzzles – count by twos to put the picture back together. 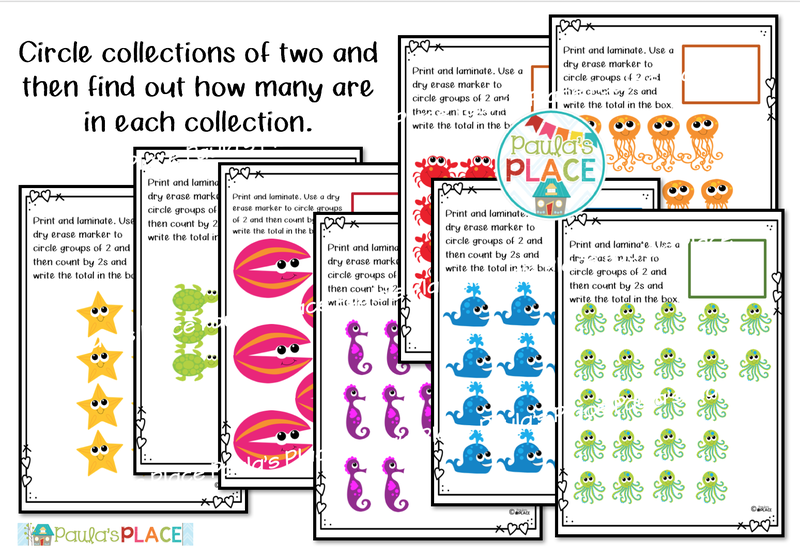 • Cut and glue – place the numbers in the correct sequence. 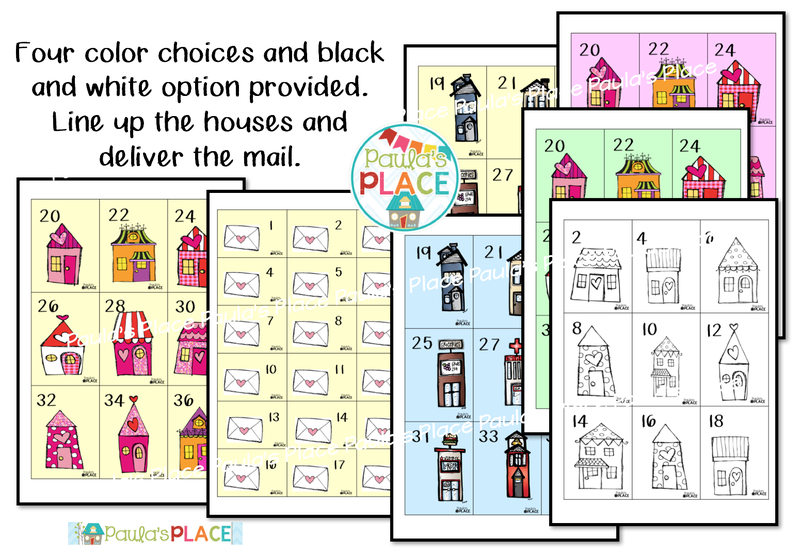 • Sequence the houses and then deliver the correct mail to the correct house number. 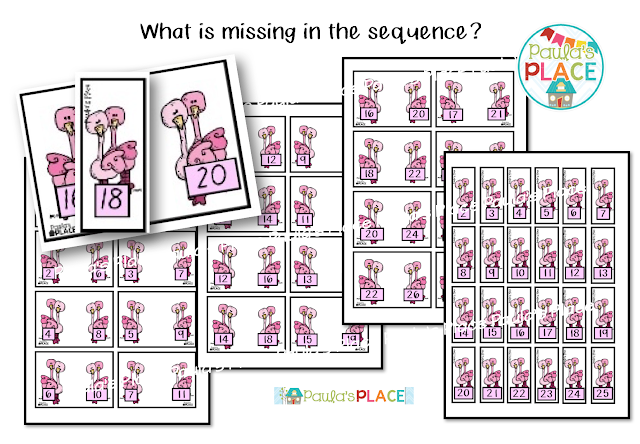 • Missing flamingos – find the missing card by counting by 2. 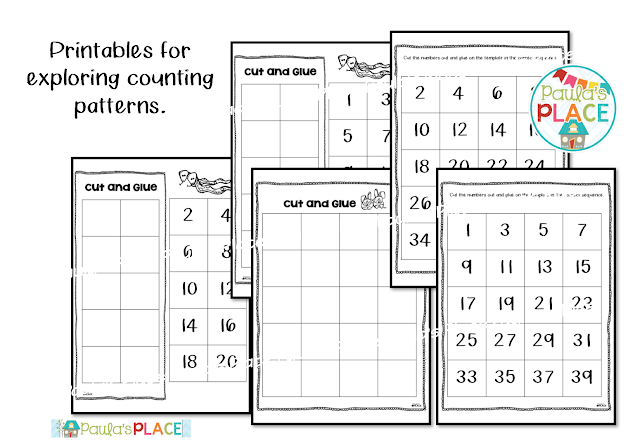 • Houses for odd counting patterns - 4 sets. 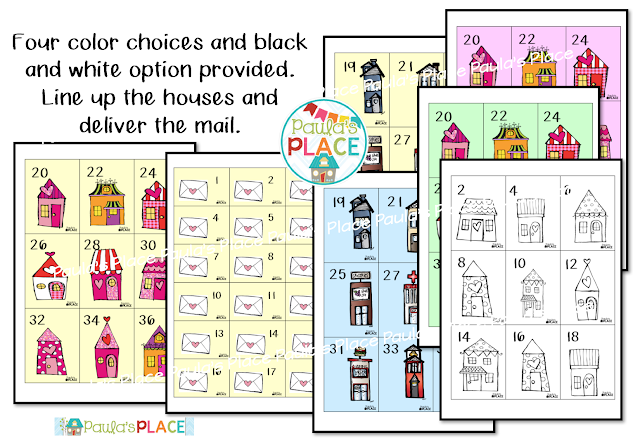 Sequence the houses and then deliver the correct mail to the correct house number. • Counting collections by 2s. 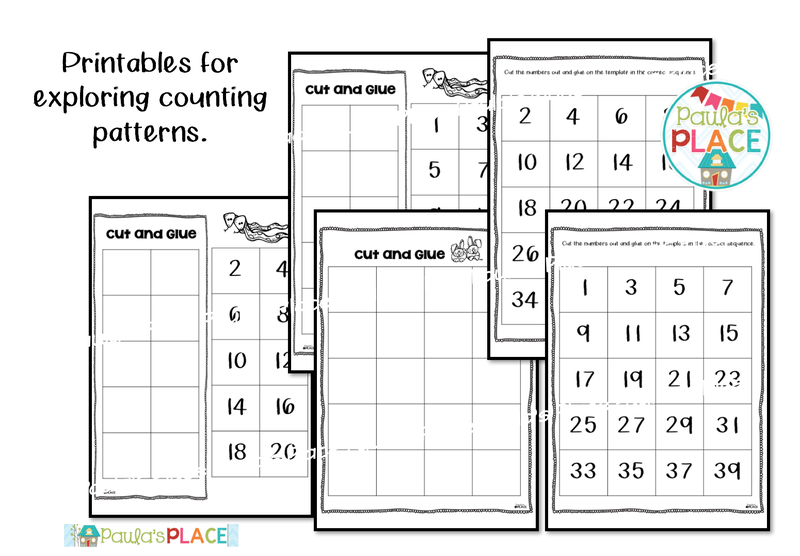 Use a dry erase pen to circle and count. 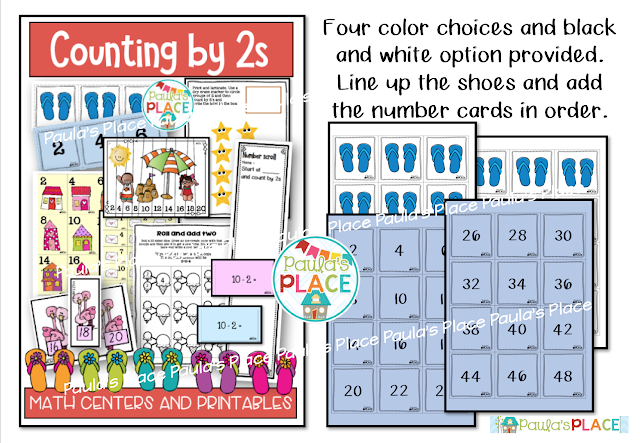 • Adding and subtracting cards by 2. 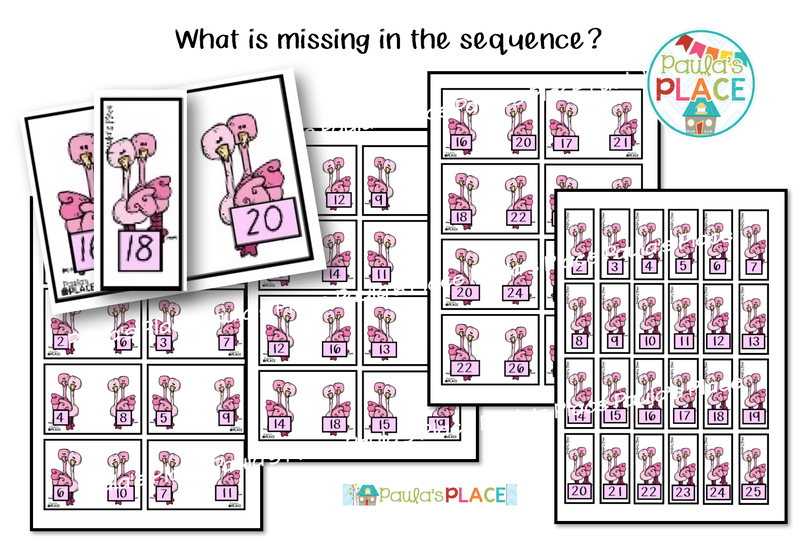 Draw cards one at a time, work out the answer and the winner who has the most cards at the end. • Skip counting ice cream flavours. 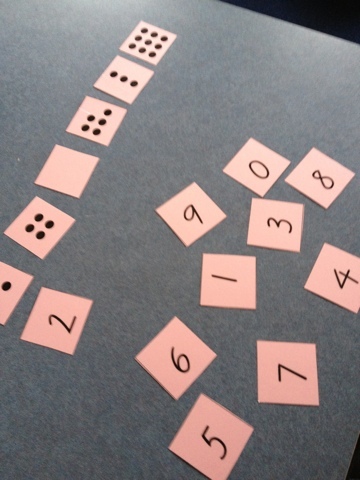 • Number scrolls counting by 2s from a given starting point. 'Me and My Family Unit' is done!